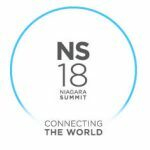 At the 2018 Niagara Summit in New Orleans, energyIQ was recognized for outstanding performance in the development and control of an industrial grade microgrid test bed. energyIQ was engaged in the Summer of 2017 by the United States Navy to integrate various renewable power assets. The project extended from June of 2017 through February 2018, during which energyIQ integrated various electrical components including: Fronius PV inverters, a Dynapower 500kW inverter, AQUION batteries, an Eaton 9155 UPS, weather station, Simplex 1MVA Load Bank, GE Power Break II Intelligent Breakers, SEL 351S Minimum Import Relay and GE Ion Power Meters. Custom software and applications used in this project include peak shaving strategies, battery optimization, battery charging via PV power, and the development of test mode scenarios to simulate various power management strategies. For over a decade, energyIQ has led in providing energy solutions for the commercial, industrial, hospitality, retail, public sector, military and manufacturing markets. Our privately-owned firm specializes in designing, implementing, and maintaining state-of-the-art control solutions for BMS, microgrids, process control, distributed generation, and utility interfaces. Prepared to comply with UL requirements and environmental policy change, energyIQ has established a leading role in smart infrastructure and net zero energy efforts. Additionally, energyIQ excels in creating effective water, waste water, and RO solutions to support the needs of developing economies vulnerable to natural disasters.